The Magnetic Fields are bringing the 50 Song Memoir album to the stage across a couple of nights at the legendary Apollo Theater next Friday and Saturday, June 15 and 16. 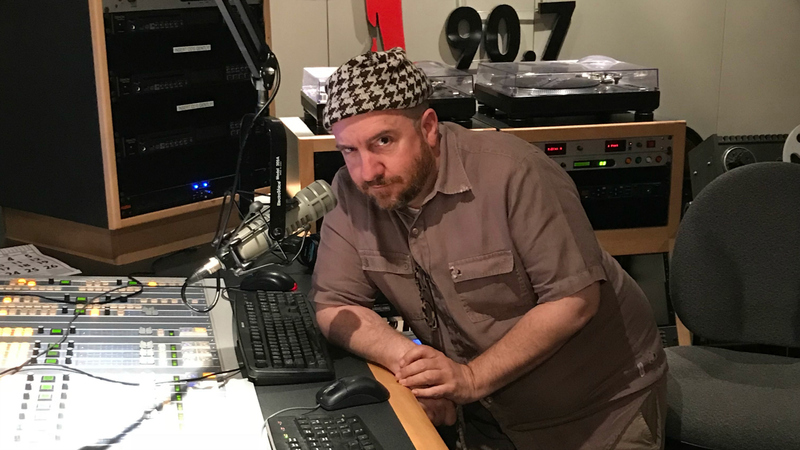 In advance of those shows, Stephin Merritt joined me to take over WFUV as our Guest DJ. The running theme from Stephin is songs that aren’t necessarily sad, but make him cry. Check out the diverse selections from this songwriting genius and some fun conversation, too! The Monkees - "As We Go Along"
Ella Fitzgerald - "Just Another Rumba"
Stephanie - "Dance With Me"
Nanci Griffith - "Love at the Five and Dime"
Jean Redpath - "Duncan Davison"
Taffy - "I Love My Radio"
The Roches - "Quitting Time"
Audio for this interview is no longer available.